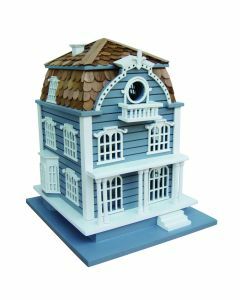 This birdhouse is based on the historic Thomas Point Shoal Lighthouse located at the mouth of the Chesapeake Bay. The Maryland and DC area icon, built in 1875 (now unmanned), has an automated lighthouse which remains an active weather station and navigational aid. 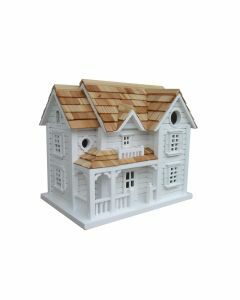 This lighthouse is a fully functional birdhouse featuring two nest boxes with 1.25″ openings, a removable base for yearly cleaning, drainage, ventilation and an unpainted interior. 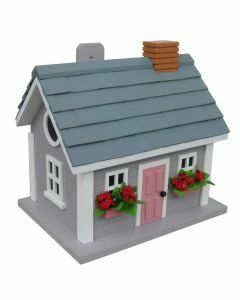 A custom-fit mounting plate makes installation a snap. 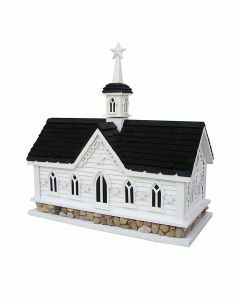 Item Dimensions: 16″ H X 13″ W X 13″ D. Painted red and white, with an American flag on top. Click on image for greater detail.